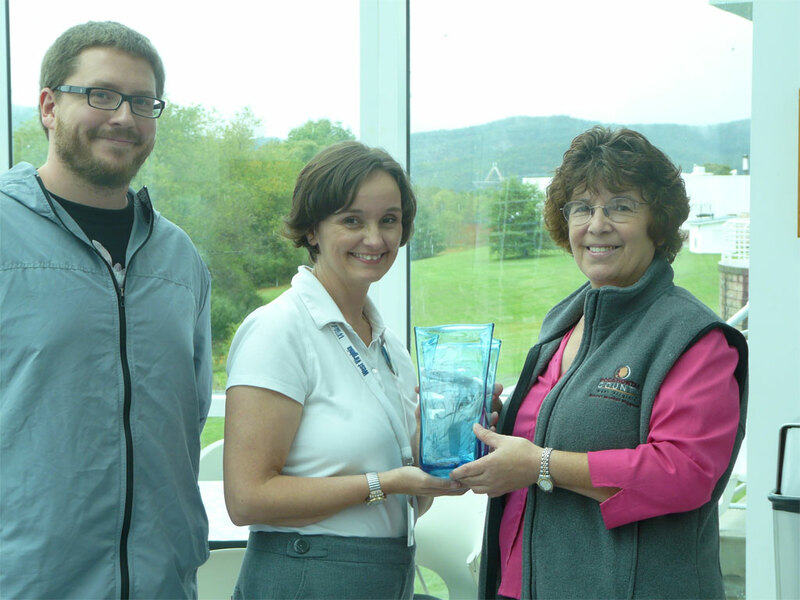 The Mountain State Award is presented to Cara Rose and Bill Saxton on behalf of the NRAO by Gail Hyer, Marketing Specialist for the Pocahontas County Convention and Visitors Bureau. The West Virginia Division of Tourism presents its Stars of the Industry Awards each year in recognition of excellence in the state's tourism industry, including the Mountain State Award, which recognizes excellence in tourism programming and impact on the state's economy or image. 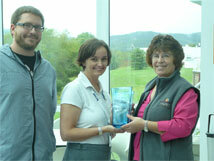 We are pleased to announce that the National Radio Astronomy Observatory is the 2009 Mountain State Award recipient. We want to recognize Cara Rose for her outstanding management of the Green Bank Science Center tourism programs, and Bill Saxton for his outstanding graphic design contributions to these programs.